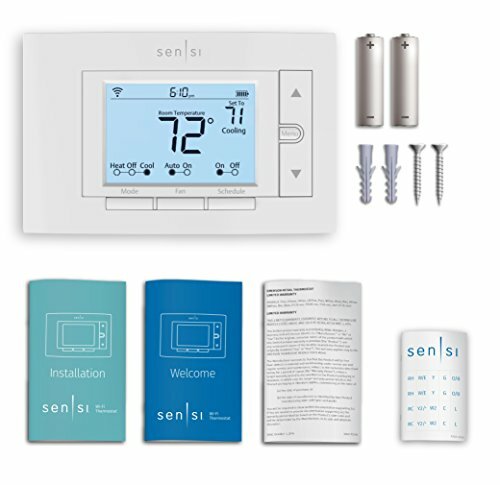 Designed to work with the wires you already have, Sensi thermostat does not require a common wire (c-wire) for most installations, so it is compatible with the HVAC equipment in many homes*** in U.S. & Canada. 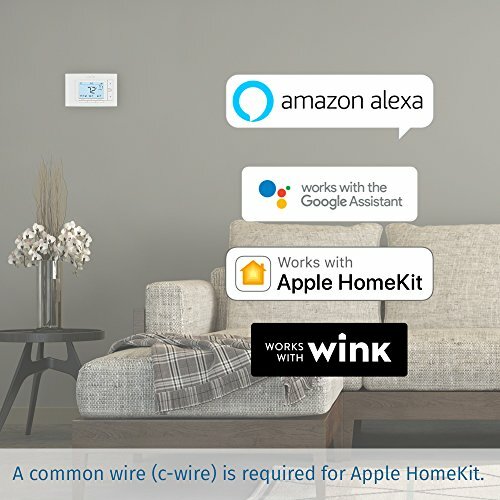 A c-wire is required for heat-only, cool-only and heat pump (without aux) systems, and for use with Apple HomeKit. Check to make sure it will work for you at sensi.emerson.com/compatibility. The intuitive app walks you through each step of installation with custom configured instructions, removing all the frustration and guesswork from the installation process, so you can be up and running in no time, no experience required. 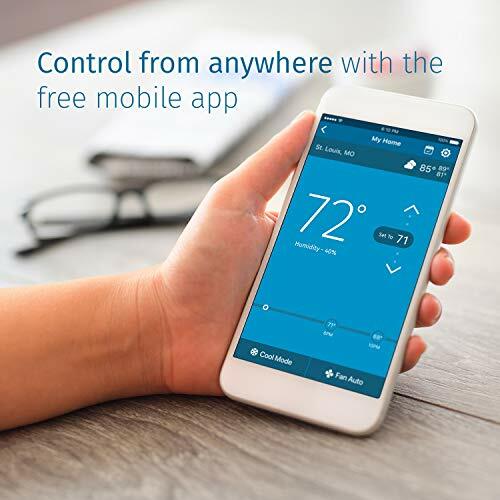 Put your comfort on your terms using location-based temperature control with geofencing or creating custom heating and cooling schedules with the flexible 7-day scheduling option with the ENERGY STAR certified Sensi thermostat. Both energy saving features you save about 23% on your HVAC energy usage* so you can save money without compromising your comfort. Plus, Sensi integrates directly with Amazon Alexa, Apple HomeKit, Google Assistant and Wink home automation platforms. 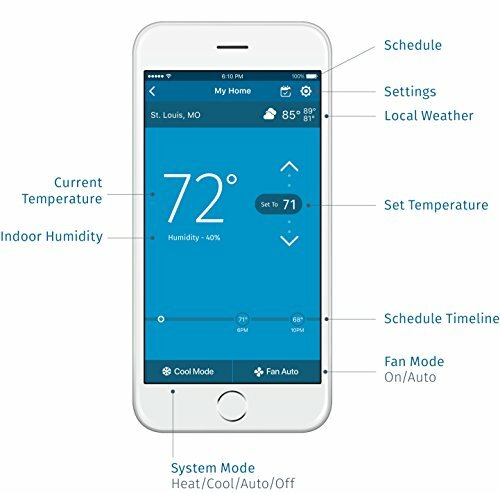 Connect to Amazon Alexa to control your home temperature with simple voice commands, or just ask Siri to set, raise or lower your home temperature when using Sensi with Apple HomeKit. 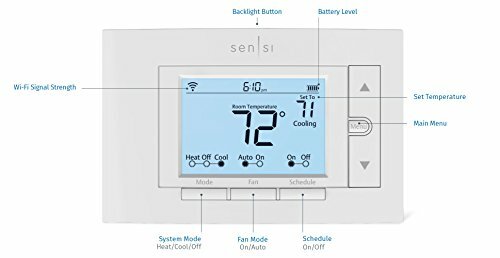 What’s more, Sensi Wi-Fi Thermostat has been named the ‘Best Value’ smart thermostat of 2018 by USA Today’s Reviewed. If you need anything, we’re here to help. 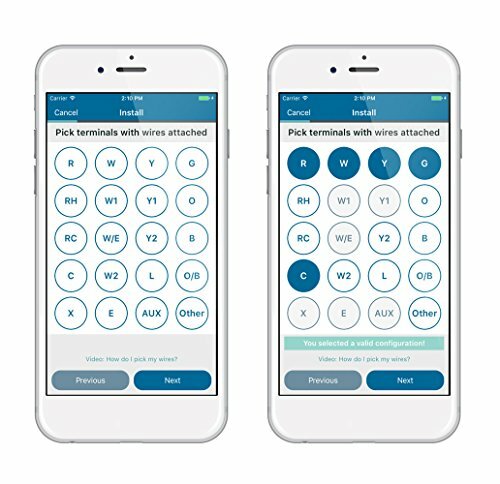 Visit https://sensi.emerson.com/en-us/support for around-the-clock access to support articles, instructional downloads and comprehensive support videos. Our highly-trained Sensi Support Team can be reached at support@sensicomfort or 1.888.605.7131, seven days a week. *Energy savings calculated by comparing operation time for a nationwide sample of Sensi users with temperature adjustments averaging 4 degreeF vs. users with no adjustments. Savings vary based on equipment type/condition, insulation, climate & temperature adjustment size/frequency. 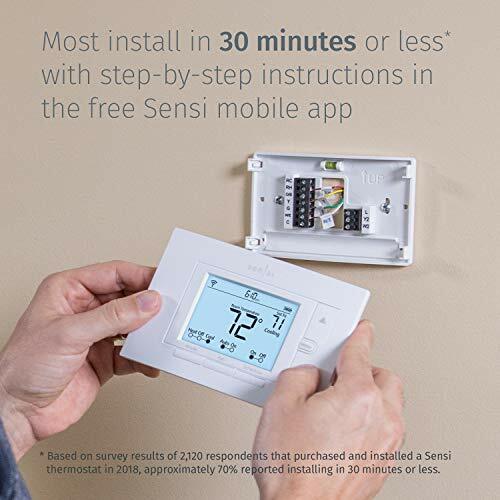 **Based on survey results of 2120 respondents that purchased and installed a Sensi thermostat in 2018, approximately 70% reported installing in 30 minutes or less. Adding a common wire may impact installation time. ***Does not work with electric baseboard heat and some other systems. System requirements for mobile app: iOS – 10.0 or above Android – 4.2 or above (5.0 or greater to use the Geofencing feature). 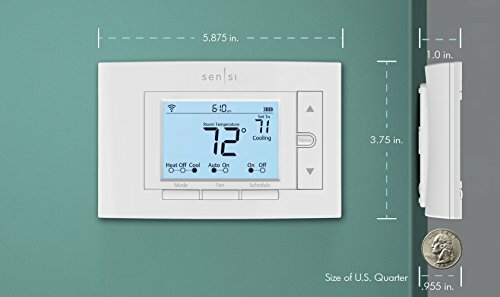 SAVE ABOUT 23% ON HVAC ENERGY *: The ENERGY STAR certified Sensi thermostat helps you save on your HVAC energy costs, with features like geofencing, 7-day flexible scheduling, remote access and energy usage reports. GET REBATES: Find utility rebates in your area through the rebate finder at sensi.emerson.com/rebates. EXTENSIVE COMPATIBILITY***: Works with the HVAC equipment found in most homes – a c-wire is required for heat-only, cool-only and heat pump systems without aux. 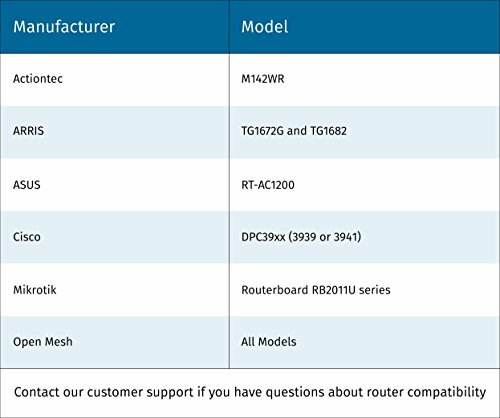 To check system and router compatibility, refer to our online compatibility resources at sensi.emerson.com/compatibility. 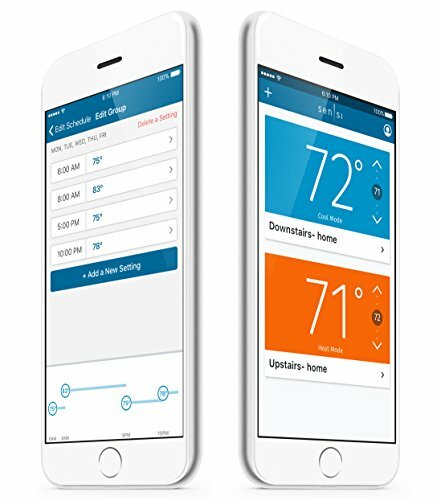 SMART ALERTS: Sensi features smart alerts to help detect extreme temperature and humidity levels in your home.